Khön Könchok Gyalpo (Tib. འཁོན་དཀོན་མཆོག་རྒྱལ་པོ་, Wyl. 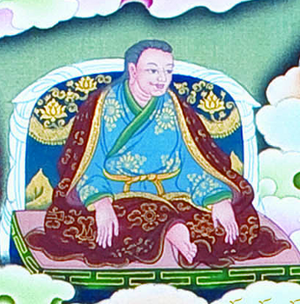 'khon dkon mchog rgyal po) (1034-1102) — a descendant of the Khön family and founder of the Sakya school and Sakya Monastery in 1073, and its first throneholder. His root teacher was Drokmi Lotsawa. This page was last edited on 20 July 2017, at 06:18.